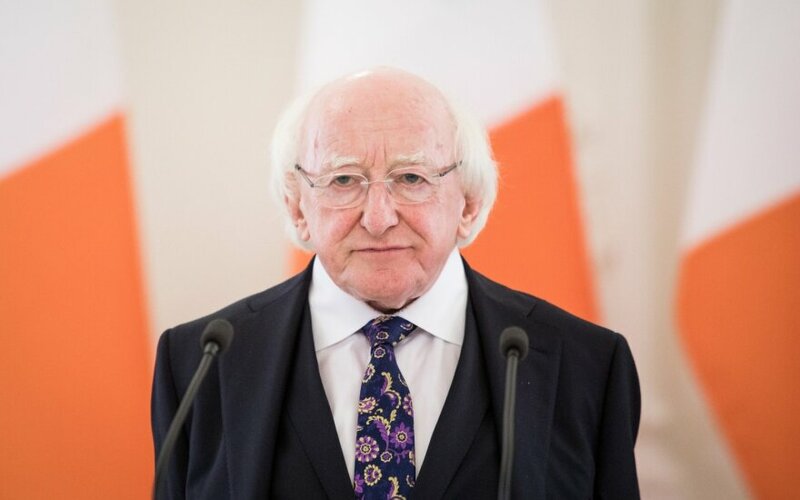 As Britain is set to leave the European Union, Ireland is seeking closer ties with the Baltic and Nordic states, Irish President Michael D. Higgins said in Vilnius on Tuesday. "I think the importance of the Baltic-Nordic relationship to Ireland in new circumstances in which we find ourselves will be ever more important," he said, addressing the Irish community in Vilnius. Ireland's diplomatic rapprochement has been felt for some time already as the Irish prime minister and his Dutch counterpart joined last year for the first time the traditional meeting of the leaders of the six Baltic and Nordic countries to coordinate their positions ahead of a European Council meeting. Lithuanian officials believe such meetings will be repeated as the countries' positions on many issues match since they want to keep the EU's close ties with Britain, are in favor of free trade and also seek increased EU agricultural funding. "Naturally, there are many more of those links than we had before. Can it evolve into a new format, time will show. Now interests themselves should lead us to the creation of a new format," Nerijus Aleksiejūnas, an advisor to Lithuanian President Dalia Grybauskaitė, told BNS Lithuania. Also attending the meeting with the Irish president in Vilnius, Irish-born singer Erica Jennings said the two countries share the experience of fighting for their freedom and facing emigration. "The things they have in common are obvious: the history, the emigration, the large bully next door, the big neighbor in the past. The things that are different are that Irish people are more open and friendly on first sight, first meeting. Lithuanians are too but it takes a little but more time," she told BNS Lithuania. She was joined by several dozen people, including businessmen and culture representatives, who came to meet with the Irish president at the Irish Embassy on Tuesday afternoon. "I would say that the Irish community is small but friendly, pretty much like Ireland in general. They are a bunch of really innovative people who are very much into joining the links between Lithuania and Ireland," Jennings said. She said she was excited to see the Irish president not just because of his position but also due to his personality. "I am really excited to see him. Of course, because he is the Irish president but also because he is a great Irish president. He really is someone very special. I really admire the fact of his attitudes to his role and I like the things that he stands for. I like that he is a poet too, I really appreciate that," she said. The Irish president met with Lithuanian President Dalia Grybauskaitė on Tuesday, visited the parliament and honored the memory of the January 13 victims. On Wednesday, he will travel to Kaunas, Lithuania's second-largest city, accompanied by a group of businessmen, where he will receive an honorary doctorate from Vytautas Magnus University. Irish President Michael D. Higgins says that the Lithuanian community is "very welcome" in Ireland .